You’ve probably wondered how you can get into coding, robotics and a bunch of other skill-based industries without going through the formal education system. Due to technological developments, the path to these careers has become more accessible through online courses and tutorials and this is great. In Zimbabwe, however, it’s not as simple. Data is very expensive, and some don’t even have the hardware necessary to make these strides so we are always glad when there are local solutions that can be implemented. This is why I was stoked when I stumbled upon Vested Interests, an organisation that will be offering robotics lessons locally soon. vested interest is an organisation to empower young people’s dreams it teaches simple robotics and Hydroponics, and teaches how to intergrate robotics and agriculture into our daily lives. All course offered by vested interests are of very low prices and are meant for every one from the age of 12 and above. It also offers additional courses like animation design, mobile app development, website design and lastly computer programming for any one interested. It also has forums and discussion platforms for students to discuss and share answers and help each other it focuses on Olevel, Alevel, and graduates. The only requirement necessary is passion since you’re not required to have any background knowledge in physics or computer programming. You are however restricted when it comes to age, as the minimum age for this program is 12 years and above. What will you be making during the course? Students will be using Arduino, Scratch and other programming languages to get through these projects. You can download their full course outline here. The project is still in its early phase but Ephraim Mwanda from Vested Interest and he informed me that the course is yet to commence and they will probably be kicking off around September. Though he could not commit to a pricing structure yet he did emphasise that the prices for the course will be cheap taking into account that this is a program for kids as young as 12. It will be interesting to see what the final pricing for this course looks like but the existence and growth of these of projects really has me excited. A month ago we talked about The Maker Club: which not only teaches kids about Robotics and coding but also helps them with the practical implementation of these skills. Applying skills has been one of many problems faced by Zimbabweans and it seems these efforts can only help diversify our talent pool and the culture of problem-solving is being taught at such a young age. It’s really cool stuff and I hope Vested Interests can bring their great idea to the market soon. I would love the course but how much would I need to pay to register? This is something id be very intrested in. Wow so exciting can’t wait for this program to come out! very exciting and the good thing is that it doesn’t require you to be science based. This course will truly be lifechanging. 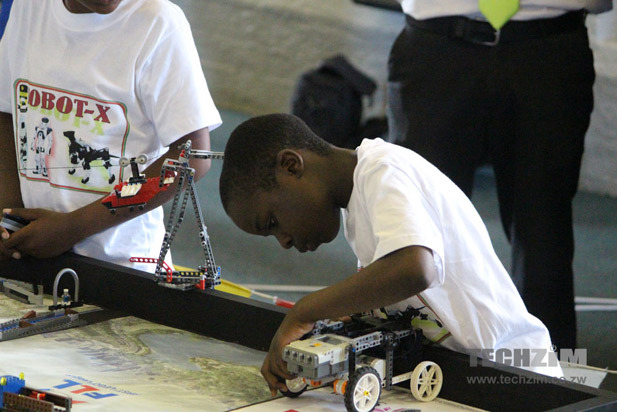 Coming to think of it, passion for robotics is the only requirement! A great opportunity for Zimbabweans.